Hello blog land! I've missed you. I write today to introduce the Sweetheart Slouchy Hat crochet pattern available on Etsy or Ravelry. 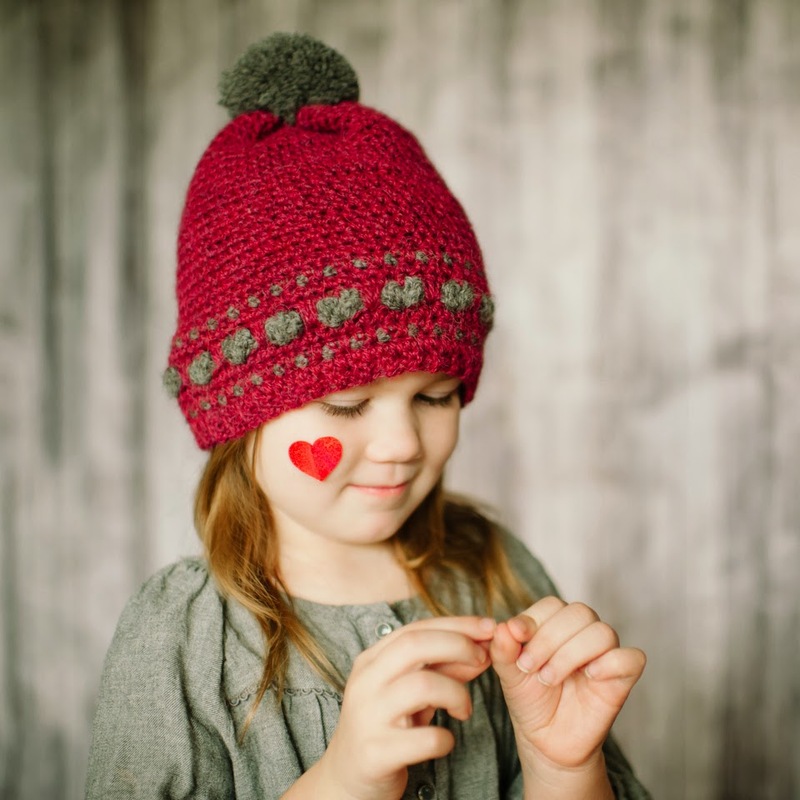 Super cute slouchy pattern with hearts and a pom pom and fair isle details. What more could a girl ask for? My exciting news is that I am now offering a kit for this pattern! 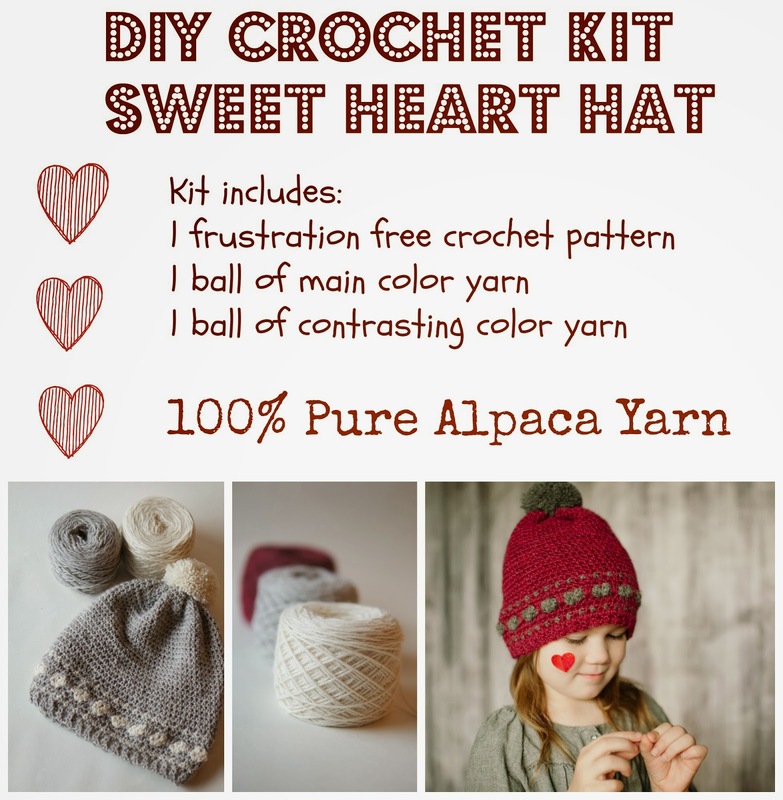 With the kit, you receive the pattern in 3 sizes, 2.5 ounces of main color yarn and .5 ounces of contrasting color yarn in your choice of red, cream or light grey, which is enough yarn to complete the largest size with plenty of extra. The yarn is Galler Yarns Prime Alpaca which is just so soft and squishy and wonderful. It is hypoallergenic because alpaca wool does not contain lanolin, making it a perfect natural choice for babies and those with lambs wool allergies. I'm working on a second hat kit as we speak! I'll be in touch soon and keep you posted with all the details.